Click the button below to add the Psoriasis Soften Scalp Formula Hair Nutritive #Psoriasis Scalp Formula Hair Loss# to your wish list. Our Soften Scalp Formula Hair Nutritive is made from pure ingredients that soothe and treat your scalp while assisting your hair in growing its best. Aloe Vera and Jojoba oil moisturize and nourish your scalp and hair to promote strength and softness. Will strengthen hair, soothe dry scalp and condition follicles. Makes hair soft and manageable, adds volume, and prevents breakage. This product is made for dry, cracked skin on the scalp that can be used daily. Made with the purest ingredients that are delivered to the hair and scalp. Made without parabens, silicones, sulfates, artificial colors or fragrances. Chia Seed Oil is one of the richest sources of omega-3 fatty acids with Pumpkin Seed Oil, which is packed full of goodness. 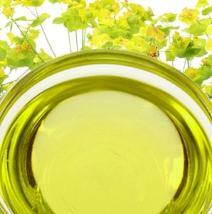 The vitamin-rich Fenugreek Seed Extract is used to promote hair growth in someone who has thinning or falling hair. Chia Seed Oil has a protein called keratin that may assist in thickening and growing hair while making it shiny and preventing premature graying. 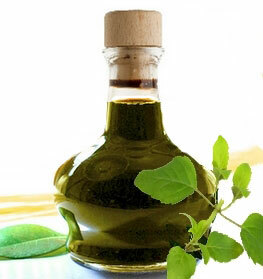 Nettle Extract has been used since ancient times in hair and scalp care. Plantain Extract has a high vitamin E content that promotes healthy hair growth. Massage it well into your scalp. This is a leave-in serum; do not rinse. May be used with any other products. If you suffer from inflamed skin, we suggest looking at our Soften Hair Shampoo and Conditioner. Do not use too much hot water on the hair or scalp. This will dry hair out and cause itchiness on the scalp. Try to be gentle with the scalp and hair. Try to avoid aggressively scratching the scalp and brush your hair carefully. Simmondsia Chinensis (Jojoba) Oil,Trigonella Foenum Graecum (Fenugreek Seed) Extract, Salvia Hispanica (Chia Seed) Oil, Urtica Dioica (Nettle) Extract, Plantago Lanceolata (Plantain) Extract, Cucurbita Maxima (Pumpkin Seed) Oil, Linum Usitatissimum (Flaxseed) Oil, Daucus Carota (Carrot Seed) Oil, Ricinus Communis (Castor) Oil, Arctium Lappa (Burdock Root) Extract, Arnica Montana (Arnica) Extract, Serenoa Repens (Saw Palmetto) Extract, Equisetum Arvense (Horsetail) Extract, Eleutherococcus Senticosus (Eleuthero Root) Extract, Citrus Sinensis (Orange) Peel Oil, Cedrus Atlantica (Atlas Cedarwood) Oil, Aloe Barbadensis (Aloe Vera Leaf) Extract, Pogostemon Cablin (Patchouli) Oil, Tocopherol (Vitamin E). What can I say...it works! I always hoped some magic bullet would come along and help baldness so I wouldn't suffer the same fate as my father. So if you still have hair, USE THIS NOW! So you've got a good chance at keeping what you've got, and maybe getting a little more. My hair is definitely thicker than before, and if it stays like this forever, I'd be thrilled! I have started using this product formula at age 52 and after three months the bald spot at the top of my head is covered with hair. I have always had fine hair, but hair now covers the spot and you can't tell that I had NO hair there at one time. Hair for women is terrible. If you have it, this nutritive product will help. The first step is to realize it is happening, I think, and then use this to address it. It will fall out a bit more when you first use it-- that is the worst part, but then, you will see it grow back. It took me about 3 months to see it really work. Now, this will be something I will never be without. This product really works. I was totally skeptical, but noticed hair growth after about 3 months. I think it is easy to do, and I did not have any side effects. Totally worth a try if you are losing your hair. It's not like my hair is not thick and luxurious now, never was, but you can't see directly through to my scalp anymore! I was embarrassed by my thinning hair for years. I can't believe the difference in my hair, I no longer have to be embarrassed by my scalp showing. This formula really works! I would recommend anyone try this for a few months. I've used this product off and on for about 2 years. When I use it consistently, I can visually see more hair growth. I have more hair than I did 10 years ago. I'm almost 55 years old and would be almost bald if not for this scalp product. It really works. If you have thin hair problems, just give it a try. It works for me. It also works for you. First time customer and was excited to receive the product. Shipping took longer then listed on website. This was disappointing but the product worked well for me. Good product. Worked as advertised and worth the money but the smell was to much for me. It really did moisturize my scalp and my hair as of late has felt softer and healthier. Great ingredients and wonderful company. I have been purchasing from JN for a few years now and have been satisfied with most products. I am on my second bottle and my scalp and hair has become nourished and really has helped my hair grow. After the first month I was becoming frustrated. My hair was moisturized all day and at work it looked “greasy” like I hadn’t showered, so it was a bit embarrassing. But after 2-3 months of daily use my hair is looking fuller and feels soooo soft. I would give this a 4-4.25 if not for the smell. My improved hairline is the reason that I am writing this review. The smell is a bit strong and does linger. If you can handle the smell its worth the money. Without this my hair would not look the way it does! If you suffer from hair loss and want to improve your hair growth before its to late I firmly believe this is a great option. Followed the “how to use” and left it in all day. My head felt and looked to shiny kind of greasy. Now, with that said after 2 months I actually started noticing my hair looking and feeling fuller. First its great to find a product that is made and manufactured in the US. Second, its made of natural extracts and essential oils. This product covered two problems for me my psoriasis on my head and my hair loss. Happy looking forward to more results. Absolutely love this product and the results that it has delivered. Since using this my scalp has felt moisturized. My hair feels softer then ever before! I am overwhelmed with what this product has done. This was my last option for my hair loss and psoriasis issue. This product has really eased my stress in the last month. This has quickly decreased the red, flaky patches and turned them into soft smooth normal skin. I have also have noticed this has slowly promoting new hair growth which is wonderful. Great product highly recommended.